Funny isn't a word I'd use to describe Medieval times, unless it's in relation to the dinner show and not the historical era ... and even that's a stretch on a torture board. However, Sara of Un The con le Parche managed to find several Middle Ages crafts that will make you and your little ones smile. The adorable army includes a Viking LEGO flash drive, Robin Hood hat and my unicorn warrior art magnet. Greens always remind of Spring! BEADS, BLOSSOMS, BUNNIES, BUTTONS, AND MORE! Very fun stuff! Your unicorn fits right in. Where was that felt play castle when I was a kid?? 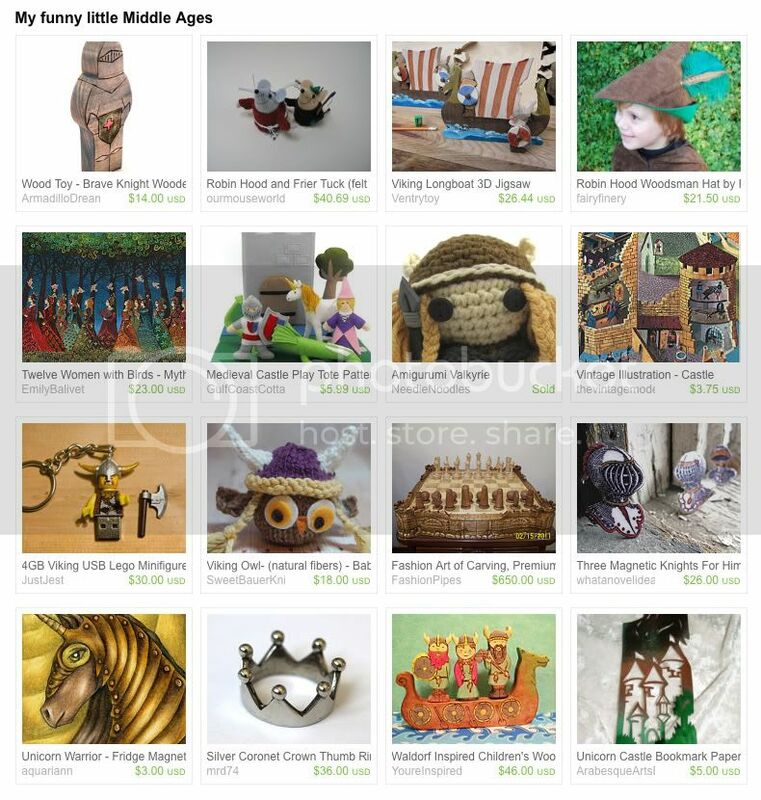 That is such a cute treasury! Perfect for the kid in all adults. What an awesome medieval treasury! It made me smile. Thanks for another great link up. Great and funny this middle age collection... and your unicorn is very stunning! I really enjoy the whimsical take on classical Medieval themes in your featured treasury - thanks for bringing a smile to my evening. "Maroon Tide" is quite nice as well - I like the touch of Indian flair uniting such an extremely varied collection. This week is full of fun treasuries! I left the link but I think I messed up a lil!! Feel free to delete the link with my name!